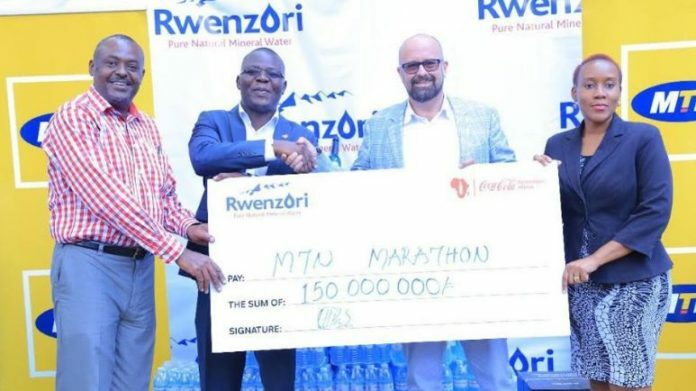 Coca-Cola Beverages Africa Uganda has today announced its sponsorship of the 2018 MTN Marathon through its brand, Rwenzori Pure Natural Mineral Water in the latest Uganda news. This marks the 15th time that Rwenzori Pure Natural Mineral Water has sponsored the MTN prestigious annual marathon – a sponsorship that has existed since the inception of the marathon in 2002. As part of the sponsorship, the beverages giant will handover UGX 75 million worth of water and UGX 75 million in cash. It will also deploy 100 people to collect the plastic discarded during and after the run in continuation of their recycling efforts and efforts to remove used plastics from the environment, therefore limiting environmental hazards. Speaking during the launch of the 2018 MTN marathon, Mrs. Maggie Kigozi, the Coca-Cola Marketing Manager for Uganda congratulated MTN upon making 20 years in Uganda and pledged Rwenzori’s continued association with the annual marathon that brings positive social change within communities in Uganda. “It is a pleasure to be here today as we once again handover our sponsorship package to the MTN Marathon. 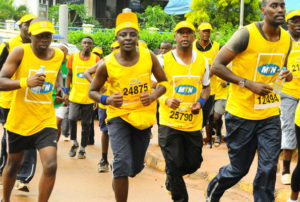 Our relationship with MTN and this prestigious marathon dates back many years. This is mainly because of the value that we attach to this marathon and to the thousands of Ugandans who have benefited from the different causes over the years,” she commented. As part of the 20 years celebrations, the proceeds from this year`s marathon will go towards supporting the noble cause of maternal health. Last year, the run which attracted over 20,000 participants, raised UGX 600 million to support two different causes chosen by the participants.